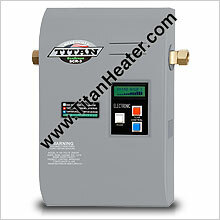 N-120S Titan Tankless Water Heater Discounts Apply ! 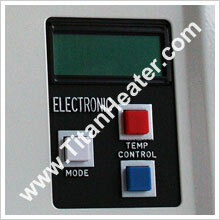 Digital control interface using LCD screen for advanced operation, and diagnostics. The display allows the user to see the percentage of power being used and saved. The display also shows kilowatts, amperage, and volts. The N-120S Titan tankless water heaters continually heat water instantaneously as you require it - and only when you require it. These units are ideal for medium to large homes in Southern climates, and small to medium homes in Northern climates. As with all our tankless water heaters, this units will not run out of hot water. For small to medium sized homes with ground water temperature of 72° F or higher. * Please consult your local codes and/or professional installer for obataining correct wire size.